‍What does balance mean to you, and how do you strike a balance in your life? We were so touched and moved by the answers, images and honesty that we had to share them! 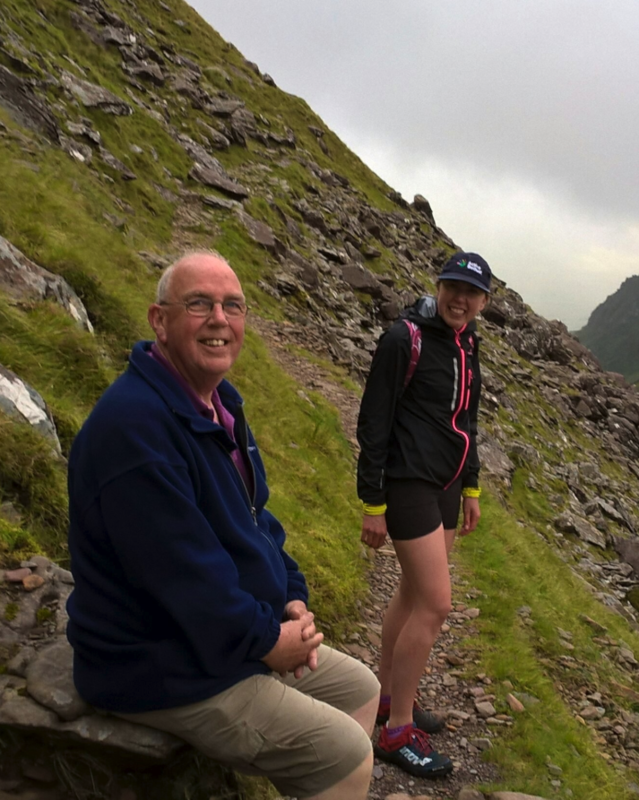 "Although I do most of my training alone, it was my Dad that really ignited my love for the outdoors so here is the two of us on our way up Mount Brandon in Kerry. Being fit isn't always about crushing big sessions but having fun with the people you love, and as it's for IWD, I thought it was nice to include the man who taught me there is no limit to what I can do if I work for it, but also taught me to enjoy life." 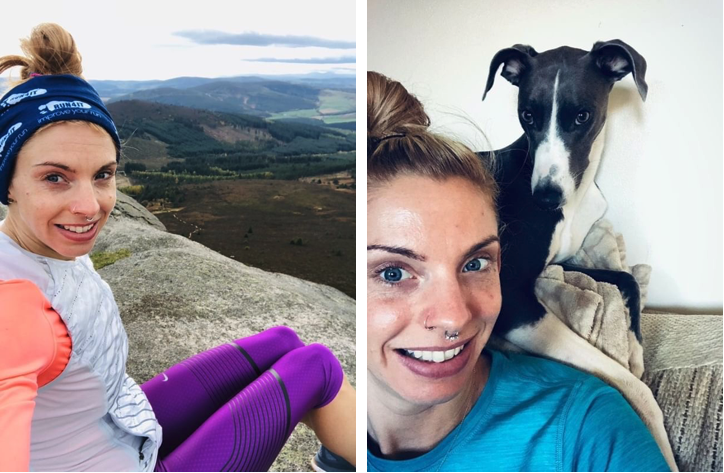 Eimear Rose Nicholl, has recently joined FitrWoman as a Brand Champion. 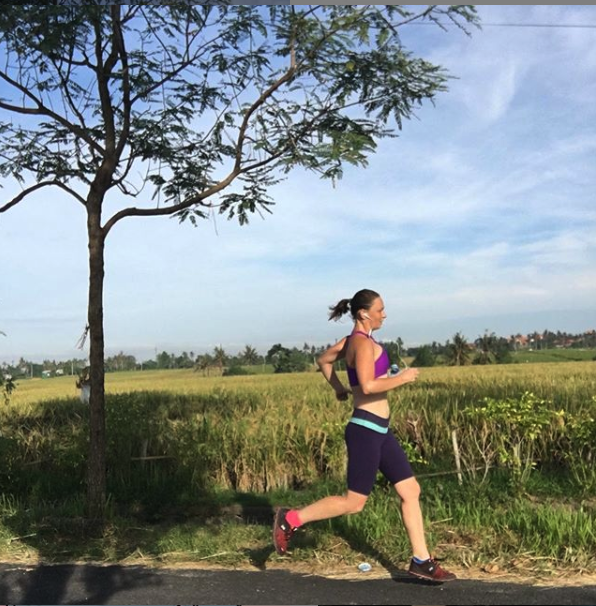 She is a distance runner who is passionate about women's health. "Fitrwoman is completely unique, I am really excited about the work FitrWoman is doing and the future potential. My own path in sport has been a rocky one like so many women, and I'm passionate about sharing what I've learned along the way to help other women. I don't have the professional background and that's where having the expertise behind fitrwoman to turn to for advice has been great so far. 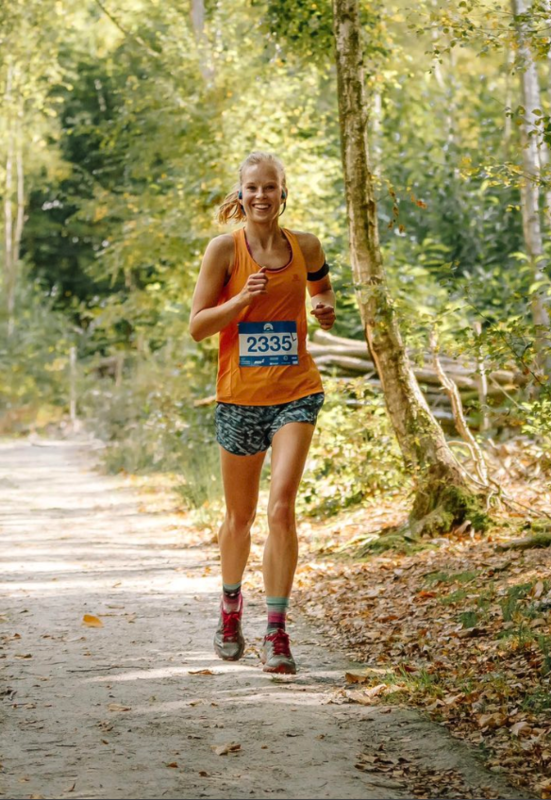 I just love to talk to other women that I meet through running as I've found so many have been through lots of complex issues relating to their health as a female athlete. My main goals are to improve my marathon times and also be nationally competitive over various road and track distances while maintaining my health, but long term I want to coach, especially to coach women, as although there are many amazing male coaches out there, I feel having more women in coaching with personal experience of the challenges women come up against in sport can only be a good thing!" "I'm not sure if this picture encompasses the balancing act that is life, but it’s me in summer during a trail race - my true escape time!" 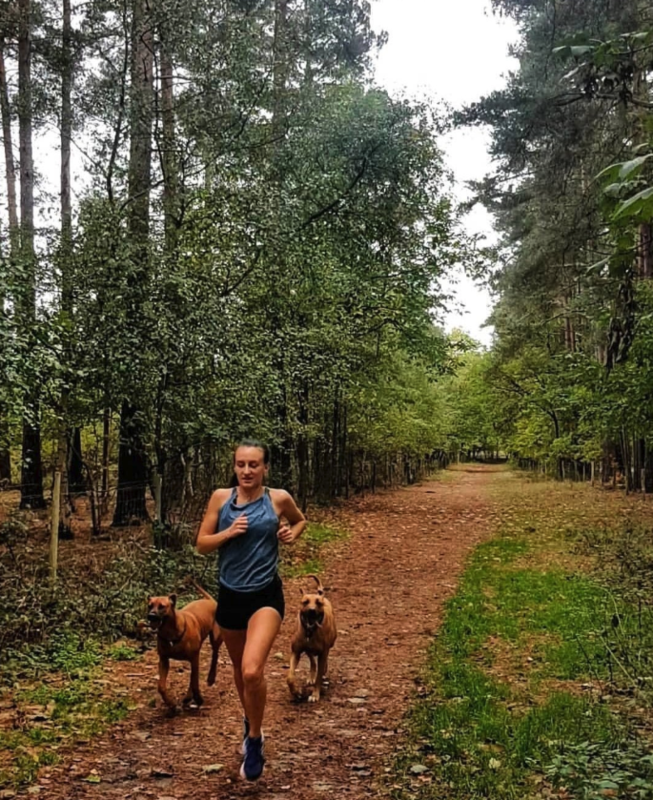 "It felt good to be able to enjoy a short run round my favourite run spot this morning with these two monsters 🐶🐶 Hectors love for running hasn't increased but Vera is definitely gonna be the next big thing running wise!" Jane kept it real for us, sharing an image of her balancing work and family life. "I'm wearing my running kit complete with family's washing, essential work text book, marathon training plan and a recipe book. Because I hate having to cook every single night!" "This shows me being happy and healthy! Being out in the fresh air, and being with my fur babies." "I'm terrible at balance. I fail constantly, but I don't see any other possibilities but to keep going and to prioritize different aspects each week. I'm not an elite athlete and I won't achieve all of my sports or professional goals, but at the same time it is such an enriching part of my life and I really wouldn't be much fun without it. I found FitrWoman useful coming back from hip surgery, but still find it's a useful tool for gauging tiredness and training." 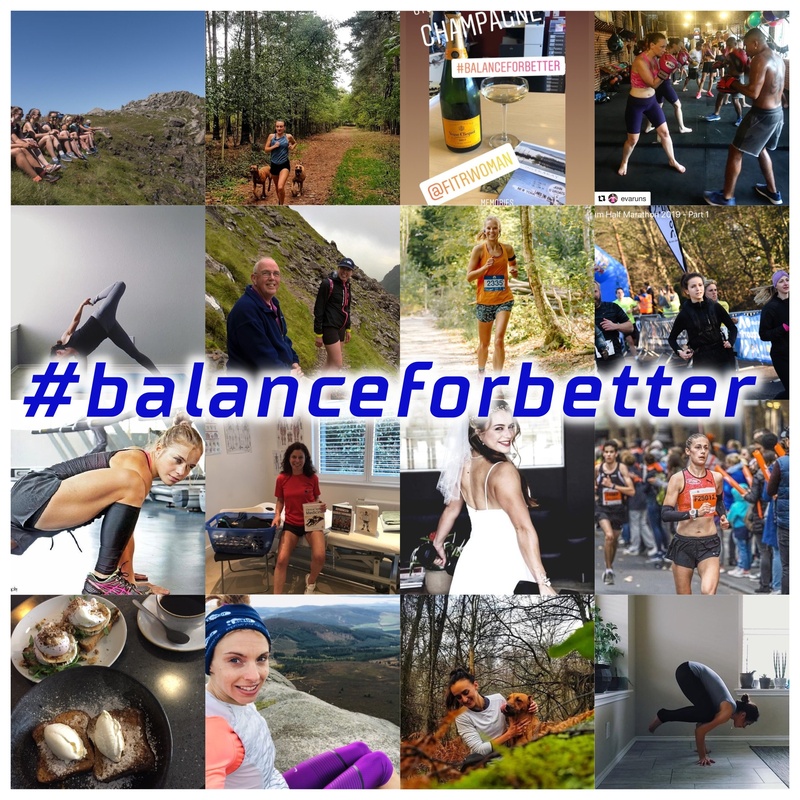 "I'm not a star athlete like many amazing women they feature - I'm a mom, wife, teacher (up until we moved to the US last year) that finds balance by focusing on my health. Being active gives me energy. It supports my physical and mental health. It's the 'me time' I carve out for myself to gain strength or push myself to reach new goals. I value this time because it helps me to grow in all my roles in life. It is my #BalanceForBetter." "Sometimes we make good progress in our fitness journeys, sometimes it can be slow but that's the way it should be. As it's not just to find what works for you and makes you stay consistent but also to maintain peace with your body, your relationship with food and a good mindset for success!" "Today was a shuffle, as some days are and maybe as they should be. Less than 1% of humans will be pro athletes or ever do an ironman and in that those people will fail many many times even at what they do best. So what today is a shuffle? Perspective is 80% of the battle. And it was a gosh darn great 4km shuffle. This is my happy pace, it changes, every moment changing. Evolving. Breaking down and starting again. So start again. So what. You’re human." These women inspire us and the work we do at FitrWoman! We want even more women to join in on the FitrWoman community so if this is something you’d like to get involved with make sure to get in touch!